Unlike most Mirans, Elizabeth has the appearance of a thirteen-year-old girl. Standing at five feet, two inches (a little more than 1.5 meters), she has a slim build and the clear shape of a young teenager. She has red hair that is naturally curly, and is usually kept it in curls. Her skin is a warm cream color, a testament to 24th century skin care products and lucky genes. Her vanity is strong enough to encourage the use of makeup, hair products and fashionable accessories, so it is not uncommon to see Elizabeth adorned with makeup and lipstick, with her hair styled or wearing glistening metal objects from her ears, neck or wrists. Elizabeth's personality is a double-edged sword. Her upbringing instilled in her proper values of high society, while the centuries of survival tested her mettle and hardened her emotions. Throwing in premature teenage hormones and mood swings into the mix has created something of a polarized mix of behaviors. Not unlike Dr. Jekyll and Mr. Hyde, in one moment Elizabeth can be professional, polite, respectful and poised, the epitome of the blended 20th and 24th century lady, and in the next she can be a vicious cynic, a sardonically sarcastic snotty conceited prig of a brat. Elizabeth has a high sense of identity, she knows who she is and what she is. She will not stand to conform or change to anybody elses' standards, though she will pretend to. She is intelligent, and self aware of her intelligence, even to the point of flouting it indirectly. Elizabeth has the need to be the focus of attention, and accepted. She will do almost anything to get the attention turned to her, and in turn, she hopes, be accepted. Her ultimate goal is to regain her adoptive mother's acceptance, and gaining the acceptance of others can be viewed as stepping stones or practice. Subconsciously, however, she wishes to maintain the status quo, she is used to being an outcast. She may unknowingly sabotage her attempts for acceptance to maintain her status. Her standards for interactions are high, if she suspects that someone is not worth her time or is beneath her, she will play off her arrogance and act like a true brat to get rid of the person. She refuses to tolerate those she does not deem worthy. Elizabeth desires her adoptive mother's acceptance above all else. She doesn't care much about her Starfleet career, it is merely a means to the end. During her centuries on Miri's Planet, Elizabeth escaped into books. She loves to learn and reading is still a passion for her, when it suits her. When accepted into a circle of friends, she enjoys playing games and, especially with other girls, gossiping. She is currently a member of the Alpha Chi Omega sorority at Starfleet Academy. Born to Sierra and Keldon Gilbey on what would eventually become known as Miri's Planet, Elizabeth was born and raised, for the most part, in her planet's counterpart to London. She attended school like a normal girl, and had many friends and enjoyed play. Her parents were very proactive in her childhood, and Elizabeth was given a strict regiment of activities. After school she was instructed in music, particularly the violin, which she grew to enjoy for a time. Then a tutor would cover the assignments she had been given in school that day, and after that was finished, would proceed to instruct her further. Sometimes her tutor would cover lessons that her school would eventually get to, and Elizabeth would become bored at school, for she knew more than even what the teacher was sharing. On the weekends, if she had been well behaved that week, her parents would let her have some free time or, if she was lucky, would let her accompany them to various events. Her father was a regional executive in an international corporation, which afforded the Gilbeys attendance at high class parties, openings and private parties at theatres and museums and the sort. Generally, quite a comfortable life. Their house reflected their money, and the couple's good tastes. The ability to accompany her parents was something that Elizabeth took to greatly, and she lauded about her experiences in school or to her playmates. She was a popular girl in her class because of it, and Elizabeth thoroughly enjoyed that status. When she was nine, her father received a promotion at work, to become a full executive at the companies headquarters...in America. Elizabeth was so excited, until she learned that she would have to move and change schools. She argued with her parents and cried, but nothing could change the move. Yet on the day of the move, she was excited to be able to fly in an airplane, something she had heard her father talk about, but never had been on one. The move went smoothly, and soon Elizabeth was attending her new school, and the Gilbeys were back in their high flung life, just in a different location. School took an unexpected turn for Elizabeth. Where in London she had been popular in school due to her connections, her American schoolmates shirked her braggart tendencies and mocked her accent. When she became bored in school, it was suggested that she was dumb instead. That was, until her peers discovered that she knew more than the teacher in some lessons, and she then became the teacher's pet. It was a miserable existence for Elizabeth, who had enjoyed her status and popularity at her old school. She pleaded with her parents to return, or to send her to private school, as she'd heard from some other children who attended similar events as her parents. Her parents refused, insisting that they wanted her to be raised as a 'normal' girl. In time, they promised her, her troubles would pass. After a year, however, Elizabeth saw no sign of change. She had few friends, and was still considered an outsider at school. The rejection by her peers had only made her more resilient, her stories became exaggerated and wild, her attitude more resolved, and her nose held higher. None of her efforts did anything to placate her peers, rather, the opposite occurred. The friends she once had became more distanced, and when they would congregate with others at playtime or lunch, Elizabeth could hear them laughing about her. It was around this time that the news reports began to trickle in. A strange disease began to appear, far from her city at first, and then it spread. Soon the news reporters were informing their audiences that there was an epidemic, and the entire world was at risk. The Gilbeys stopped going to parties, and restricted themselves to home, school and work for the most part. When the blue blotches started appearing on teachers at school and they began to act out of the ordinary, Elizabeth's parents pulled her out. Then one day, the blue blotches began appearing on her parents as well. She was terrified as her parents began to turn crazy, as they suddenly aged well beyond their years, as they no longer behaved like humans. With no one to turn to, Elizabeth hid in a closet in the house for days while her parents raved and screamed, and finally succumbed to the disease. When Elizabeth was sure that she was safe, she left her hiding place. She found her parents in the bathroom, or what was left of it, and quickly shut the door. She hurriedly collected what she wanted, some clothes, food and a few other things, and packed them into a bag, and then left the house. She didn't look back as she ran away, far away from that terrible horror. On the streets, Elizabeth encountered other grown ups in similar states, in the throws of death. And even teenagers, just a few years older than she, beginning to look ill and act strange. She found her schoolmates at the school, they had taken it over as a fortress of sorts. Most of the children were older, like Elizabeth herself, but some had brought their younger siblings. The noticeable lack of younger children told the painfully obvious, that the younger children were too young to understand that their parents were dead and wouldn't survive on their own. Elizabeth soon settled into the school, but her status as an outsider was still well known. When some of the classrooms were turned into bedrooms for large numbers of children, Elizabeth found none of them willing to allow her in, barring the group of youngest children. Rejected, she converted an entire room of her own into a sleeping area. Months passed, years passed. Eventually more rooms were needed for storage or miscellaneous activities, and Elizabeth was kicked out of her classroom-turned-bedroom. Her final roost became the library, a last refuge for her, and the one room that few of the other children ever frequented. She found comfort in all the books and the rows of shelves provided the satisfying illusion of a smaller enclosure at night. As the years and decades passed, the status quo remained. Elizabeth retained her accent, her attitude, her stories, and her nose held high above all others. Her status as an outcast survived similarly, she was rarely invited for foolies, and was often taunted by other children. Of all her qualities, only her nose changed status, as she buried it into books to occupy her time. As the year 2266 came and passed for the children, Federation response teams began landing on the planet, establishing facilities and contacting groups of children. For those who had not yet been touched by them, like Elizabeth's group, foolies and life continued as normal. It was during that time that Elizabeth was invited to play foolies with the other children, a rare occurrence, and a chance that she jumped at. The game used a simple cloth ball, made from scraps of clothing found and discarded over the years. At one point in the game, it rolled outside of the bounds, close to Elizabeth and another player. They both approached the ball, but Elizabeth reached it first. As she bent down to pick it up, her sleeve rose, exposing a small, bluish blotch on her arm. The other child quickly froze, but soon called over the rest of the children. They examined the blotch, and found similar ones on her other arm and legs. The children were merciless, and began taunting Elizabeth. "Lizzie Grup," they called her. "Go away, grup," they told her. After a few days, she could stand no more. Grabbing a few items of worth to her, Elizabeth fled the school building, running deep into the city for protection. She tried to scavenge for food, but there was little to be found. Her stomach grumbled at her as the days wore on, and the blue blotches began to spread. Whether from hunger or advance of the disease, or both, Elizabeth found herself slipping from lucidity, and sometimes from consciousness. When she would awaken, she would be in an entirely different area, and once she found herself naked, with her clothes in shreds nearby. Over a week after the children had expelled her, Elizabeth succumbed to her delirium, and her world went dark. She woke up a week later in a stark white facility, something the Federation response teams had built themselves upon arriving. Her body was mostly covered in bandages were the blue blotches, the sores, were healing. She was terrified to find herself attended by grups, fully grown grups in a mix of white and blue outfits, all without the blue sores characteristic to grups. But what most terrified her is that she looked different. As she grew to accept the presence of the unaffected grups, and came to know them as doctors and nurses, they were able to explain. Her group of children were found by a search team, and when one of them mentioned Elizabeth, the search team turned their focus to finding her, in hopes of saving her. It seemed that in the advanced stages of the disease, the affected victim aged several years within a matter of hours. By the time the search party had found her, secured her in their facility and administered the vaccine, it was too late to reverse any of the affects. Most of the doctors estimated that she had aged a few years, three or so at the most. A more detailed scan revealed that her body was an approximate age of 13.5472 years, according to a human female average. The reality was, Elizabeth was no longer a child, she was a teenager. In the eyes of the children, she was no better than a grup. Reluctantly, Elizabeth agreed to rejoin her group of children. Suddenly, the social awkwardness she had felt became physical awkwardness. She towered above those she had once considered friendly, and the shape of her body and chest were a new target for attacks from others. Rejected once more by her companions of three centuries, Elizabeth tried to find the group of children she had gone to school with in London. However, once she was recognized, appearing some five years older than when she had left, the majority of children in her old school group rejected her as well. A few remained loyal, but even those few could not make up for centuries of abuse and torment, and two failures of acceptance in the present. She was a freak, an oddball, an outcast. Elizabeth took up residence at one of the Federation facilities, and soon sank into depression. Only one of her so-called friends visited her during this time, and Elizabeth all but turned her away. She met with many counselors, but none could get through. Her existence looked very bleak indeed. That was, until the Federation decided to set up a school for those they called Mirans, the children of the world they now called Miri's Planet. The Miran Institute, as it was called, provided the means for Elizabeth to rise from her depression. She jumped at the opportunity to be in a school setting again, and as it progressed, she found herself even ignoring the awkwardness and being a social outcast. It still hurt, but after three centuries of abuse, the high she found in school and learning gave her enough to enjoy herself. By some time after the turn of the 24th century, some Mirans were offered the chance to be adopted by families from the Federation. When a couple came searching for an older girl, the administrators of the Miran Institute approached Elizabeth. She agreed to meet with the couple, and upon meeting them, thought they were all a match made in heaven. Andrew Conté was a well-respected scientist, a physicist. His bride, Wilhelmina Conté, came from a family of Starfleet admirals and Federation politicians, giving her, even if not monetary, wealth and access to power if needed. The lifestyle the two led were so much like her parents, that Elizabeth immediately desired to leave with them. The paperwork was attended to and signed, and Elizabeth was taken aside by another counselor and asked if she truly wanted to become a part of the Conté family. The girl agreed fervently, and so the adoption was finalized. Elizabeth Maria Gilbey became Elizabeth Maria Gilbey Conté. Elizabeth quickly settled into the lavish and luxurious lifestyle of the Contés. Her schooling accounted for, twice now, she was freed from those responsibilities. And without a gaggle of younger schoolchildren to deal with, she quickly fell into her own crowd. Like her biological parents, her adoptive parents attended social events often enough to, as her adoptive mother put it, "Remind them who we are and that we aren't dead yet." There, Elizabeth met daughters and friends of other astute figures, some close to her age, and she quickly befriended them. She found her niche in gossip and regaling stories of her life before the disease on Miri's Planet, and her life with the Contés. And while she was not the most popular of the group, or the leader, she felt comfortable in what she needed, acceptance. The Contés gave Elizabeth almost everything she wanted. From clothes to jewelry, books to art, and toys and gadgets galore, Elizabeth was surrounded by luxury that soon surpassed what her birth parents had provided for her. The Contés were unlike the typical Federation citizens, they still adhered to an older view of material wealth, a lifestyle which Elizabeth slid comfortably into. As the decades passed, and as those around her aged, though she did not, Elizabeth returned to her high-classed attitude, her snobbish arrogance, and her attitude. The cluster of friends of similar status grew ever older, and new eventually replaced the old. The cycle continued for years, decades, never seeming to end. There were times when Elizabeth was more accepted, others when she was almost repugnant. Yet there were always future years to look towards, and different friends, which came eventually. And eventually, her adoptive parents grew older. While most in their inner circles knew of Elizabeth's species, her history and why she never aged, new inductees into their class were surprised by her. It became more awkward to introduce Elizabeth as their daughter without some sort of explanation. The Contés grew tired of spending their evenings sharing their daughter's life story with others. Elizabeth felt her parents excluding her more and more, and indeed her accompaniment to their events slowed down. Soon she was attending an event just a few times a month. It wasn't until one of her friends pointed it out that she realized what was happening. Elizabeth never said anything to her adoptive parents, but continue to let them believe that they were fooling her. Finally, one night, she showed up to an event her parents had not asked her to attend, conspiring with her friends to make it happen. She surprised them and confronted their actions. Hostility raged in the Conté household for weeks, until another event superseded it. On November 14, 2382, Andrew Conté passed away in his sleep. Elizabeth reached out to her adoptive mother for comfort as the family grieved, only to be pushed away. She approached her group of friends, and found compassion, for a time. Eventually, as her adoptive mother stopped attending events and Elizabeth, naturally, stopped as well, her friends began to detach themselves. They didn't want to be associated with someone who had fallen from favor. Outcast by her mother and ostracized by her friends, Elizabeth turned to an unusual place, Starfleet. There, she hoped, Elizabeth could regain the attention that her mother had lost in her. Her adoptive mother's family was filled with Starfleet officers, a few of them admirals, and they ensured her acceptance in the Academy. She struggled with the coursework and her grades wavered, she was not the best student at Starfleet Academy. It was difficult to adjust to the social constructs of the Academy; they were worlds apart from the dinners and galas she had enjoyed in her life of privileged. Yet through the years of study, Elizabeth discovered a direction, a passion that excited her. She found herself majoring in Security, and with it, a renewed tenacity in graduating and becoming a Starfleet Officer. During her junior year at the academy, Elizabeth was approached by a member of Starfleet Headquarters' staff. He recognized her determination, and of her own merit, recommended her for a training cruise, placement aboard a starship or base instead of completing her final Academy Year. While the cruise could extend her schooling beyond the year she had left, it often gave the participants a fast track to promotion. Elizabeth accepted, and was stationed onboard the USS Galaxy as a Security Trainee. A bit of trivia (for anyone who cares): Elizabeth's name comes from the book The Golden Compass/The Northern Lights by Philip Pullman. The main character in the story, Lyra, uses the cover name Lizzie Brooks in one part of her adventure. Later she uses the name Lizzie Ransom. 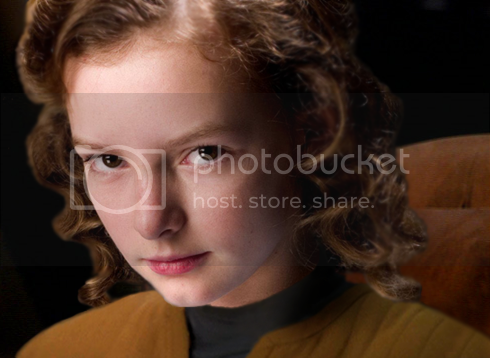 In the film adaptation of the book, Dakota Blue Richards (the actress portraying Elizabeth Conté) plays Lyra, and thus the name fit perfectly. A second bit of trivia (for anyone who cares): Conté is a Romantic language name derived from the Latin comptus, meaning 'order or control.' This evolved from the Roman Empire, in which comptus applied to officials administrating a small region, into a title of nobility, and still today is used in the Italy (spelling: Conte) as a noble title. The French and English versions are Comte and Count respectively. The use of the word as a surname ties directly into Elizabeth's personality. A blend of Ataru and Makashi. Personality: Jarad is a young man well trained and tempered for his station. A member of court might mistake him for a Lordling, rather than a son of a naval shipper. He is polite and graceful in most company, but his softened visage hides a dangerous facade. Born the second son of an average merchant did Jarad's ambitious nature no good. Unable to inherit his father's business, Jarad has been quick to find opportunities of his own. He has a keen eye for business, unlike his older brother, which only increases the resentment Jarad feels for him. Jarad's only real loyalty is to himself, he might feign feelings for another, including his fiancée or her family, but they are disposable to him. Occupation: Squire to Ser Rodrik, sworn to the Regent of Ronand. -Father: Steffan Belsante, a businessman of forty-one years from the city of Miriel. As a boy he worked as a tavern keeper of his father's hotel, but now he owns a modest array of hotels, shops and warehouses in Miriel, with business connections in cities of Andúnë and beyond. He is a sharp businessman with an eye for smart investments and a penchant for risky ploys. 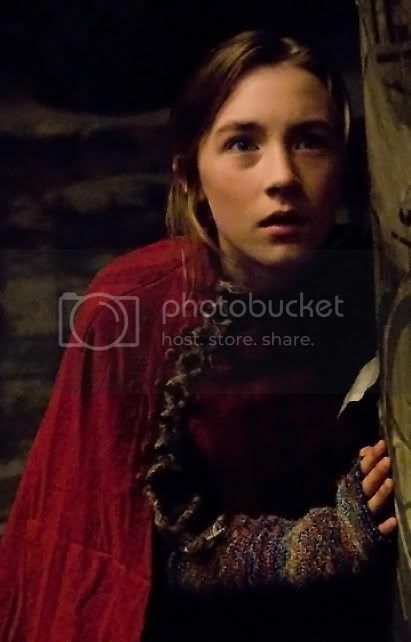 -Mother: Ivonne Belsante (née Leycester), a thirty-two year old woman originally from the farm country near Stillwater, she moved in her childhood years to attend school in Miriel. She fell in love with Steffan Belsante and married him, becoming the mother of two children. She is an educated woman, clever and intelligent for her stature, she has given her husband sound business advice on more than one occasion. -Brother: Lucian Belsante, seventeen years and just one away from becoming a knight. He is currently squiring for Ser Rodrik, a Knight sworn to the Regent of Ronand. -Future Husband: Jarad Felwyn, a sixteen-year-old young man of promising influence; the second son of a shipping family, his family owns a moderate fleet of ships that the Belsantes could use in their business. Under the agreements of their betrothal, the Belsantes will be able to use the Felwyn's shipping business at cost. Jarad is a regal young man, proper and polite in normal attendance, but his facade disguises a more brutal creature underneath. Despite his flaws, and disdain for Vanetia's lack of more feminine talents, Vanetia finds herself falling in love with him. A seven-year-old pony mare named Petra. She is a bay roan with a broad blaze down her nose, standing 13.3 hands tall. She has a somewhat stocky build from being well fed and a lack of regular exercise. Her tack includes a saddle built for a young girl, bridle and halter. A short recurve bow made of yew, wrapped in leather strips for grip. A quiver made of hickory, with an oilskin case, filled with steel-tipped arrows. A wardrobe of dresses ranging from linen to cotton to velvet. It also contains a couple silk dresses for special occassions. Like most Humans in Andúnë, Vanetia was taught the Common speech and is fluent in its usage. Vanetia's father deals with various races, but by far the most common are High Elves, and he deemed it prudent for his children to be taught their language. However, Vanetia has had little opportunity to practice in a real world scenario. Vanetia is a petite young lady, measuring only up to her father's chin. Her slender figure and small stature makes her quick and nimble, a quality Vanetia is quick to exploit. Her skin is fair, and dotted with freckles, though they mostly concentrate on her long face. Falling to her breastbone, her long hair with just a hint of a wave is a rich brown threaded with a variety of shades; in a particular light it can even appear auburn. Vanetia usually keeps her hair down, or pulled back so that it fans out from her neck. From within the curtain of her long face, her eyes pierce the marriage of browns with their porcelain-blue color, their cool pallet the only contrast to warm tones of her face and hair. A long nose rises above her small, pink lips, peppered with freckles that spill over onto her cheeks and forehead. She does not trim or pluck her brown-colored eyebrows as a noblewoman would, but they are not so unruly in their natural state. Vanetia's wardrobe consists mostly of dresses, ranging from winter wools or velvets to summer linens and cottons. She has a couple silk dresses for very special occassions as well. Within the city, Vanetia will gladly wear a dress, but she dislikes the feel of road-dusted apparel. When riding or walking, she will generally wear more masculine clothing, riding leathers or breeches in place of a wide skirt. Vanetia will tend to wear long sleeves for as long as temperature allows, to cover up a nasty scar on the underside of her right arm. If Vanetia had been born a commoner, or a noblewoman of the countryside, it is likely that she would have been a tomboy all her life. From an early age, she has cared more for physical activities, horse riding, archery, climbing, running, than for the proper talents of the daughter of a middle class family. For years, her parents indulged her, let her compete with her brother in some activities (though she was never allowed to handle sword), and roam the city of her own accord with or without friends. In more recent years, however, Vanetia has felt less of this freedom, and was asked to begin taking up the proper activities of a young lady of her class. Though it comes with some dislike and regret for her younger, carefree days, Vanetia has played the part of dutiful daughter well these past few years. Now she wears dresses, practices needlepoint and rehearses courses with a tutor indoors. Vanetia is not a submissive young lady. She is loyal to her family, friends and those who earn her trust. She would never think ill of her caregivers or friends, which is something of a naive holdover of loyalty. She is quick to act, with a tongue sharp but tempered by her courtesies. As intelligent as she is, her impulsiveness often leads to problems when a more critical, strategic approach would have been a smarter choice. This has the advantage of delivering her from situations where fear may have paralyzed the actions of another person. She takes a pragmatic approach to life, eschewing morality or tradition when it becomes an inconvenience, so long as the end result is positive; and so long as she can see the endgame for someone else, she won't mind what methods they use to obtain it. On the other hand, Vanetia is sentimental and prone to hold a grudge if someone causes her affront for not apparent reason. Her pragmatic approach doesn't mean she's completely unconscionable, however, Vanetia is still able to feel guilty about actions she's taken, but if she can rationalize their practical usage, the guilt doesn't debilitate her. In the right company, Vanetia is fairly haughty and self-confident. She feels comfortable enough to boast and maneuver around her friends and family, but this can disappear in the face of a stranger. This comes off as a combination of shyness and courtesy, as she will speak and act with the utmost politeness in this situation, but her demurred disposition in these circumstances has more to do with trust than the social graces. Marksmanship - Moderate Proficiency - Vanetia is a skilled archer...when the targets are stationary. Her training was held in the sterile environment of her home, she was not allowed to try her skill at the archery range or in a more realistic environment. Dagger - Low Proficiency - When Vanetia roamed the docks, she would often carry a knife or short dagger on her person for protection. Though she never has had to use it against someone, if she did, Vanetia would know little more than to stick them with the pointy end. Climbing - Vanetia has always had the natural talent to climb. Trees, buildings, it makes no difference, although it is much easier to climb in breeches than a dress. Athletics - Vanetia is a natural athlete, and with proper training could transform her innate agility and grace of movement into fully realized acrobatics and vaults to efficiently maneuver through her environment. Literacy - High Proficiency - As the daughter of a merchant, Vanetia was taught how to read, write and do her numbers. She can also manage some basic figures for accounting and finances. Etiquette - Moderate Proficiency - Vanetia was trained in the social graces as is proper for an upper middle class lady. While she wouldn't likely be taken for a noblewoman amongst other nobles, she's familiar enough with airs to make most commoners regard her as nobility. Needlepoint - Low Proficiency - Vanetia's mother tried her best to teach her needlepoint, but her work is sloppy and lacking detail. Vanetia has a small amount of psionic magic potential. At the moment, the most she can do is enhance her visual accuity, but she may be able to learn or develop further abilities down the road. It won't make her into a full-blown mind mage, though. Range: Vanetia's line of sight + 20-30 feet. Usage/Energy Drain: The longer she concentrates, the heavier Vanetia's eyes grow, simulating sleepiness. After about 30 seconds, Vanetia will lose her concentration and be somewhat fatigued. Description: Enhances and focuses Vanetia's visual accuity. She is able to pick up small details that someone may normally miss and extend her range of sight by a small measure. She can even see a flicker of someone's aura if she concentrates properly, allowing her to detect if someone is lying, ill, pregnant, etc, but this doesn't always manifest properly. Strengths: Vanetia is polite and courtious in strange company, but relaxed and bold among friends and family. She is also skilled at lying, which she's willing to use if it accomplishes some good down the line. Weaknesses: Dressing a tomboy in gowns and skirts does get rid of the tomboy. While Vanetia may have accepted the need to 'grow up' and put aside the rougher aspects of her childhood, she still favors physical activites. While this endears her to younger boys, it makes her something of an outcast among girls of her age and social class, who care little for Vanetia's masculine quirks. Strengths: Vanetia's rough-and-tumble childhood gives her some advantage in the uncivilized stretches between towns and cities. She also has inherited the business sense from her father and, coupled with her own pragmatism, gives her a chance to survive without the financial cushion of her youth. Weaknesses: Vanetia's softer upbringing has left her unprepared for the harsh realities of the world beyond her city walls. Long saddle rides leave her sore, poor food leaves her sick and lack of practical knowledge about the ways of the road leave her vulnerable. Strengths: Being a Human gives Vanetia the ability to travel almost anywhere without much suspicion. Weaknesses: Being a Human woman means that Vanetia looks out of place on her own, or without a male traveling companion. Her race is also far weaker than the more brutish races, and Vanetia is no exception. Strengths: Vanetia is quick and nimble, lightfooted, which gives her an advantage against bigger or armored opponents. She's able to dodge some attacks at close range, and finds a bigger advantage at long range where her bow is more effective. Her impulsiveness also gives her an advantage over someone who might be too cowardly or frightened to fight back. Weaknesses: Vanetia is not strong or physically built. She has only moderate stamina for a close-quarters fight, and a stronger opponent could easily overwhelm her indoors, especially when her escape routes are slim to none. She also has no practical combat experience, despite understanding the basics of the weapons she uses. Strengths: With the combination of schooling and a private tutor, Vanetia is well educated for her years. She is a quick learner, and one who can hone her skills and knowledge well with practice. Weaknesses: While smart and clever, Vanetia is quick to act, which can lead to impulsiveness when a more deliberate approach would be smarter. Her focus on a positive outcome can lead to making stupid mistakes or employing unwise measures in an attempt to pragmatically advance her progress toward a goal. The tale of Vanetia Belsante begins in a birthing room of a modest house in the West Corridor of the City of Miriel, capital of Andúnë. She was born the second child of a middle class family that owned a sprawling complex of hotels, taverns, shops and warehouses scattered around the West and South Corridors, and the Docks. Thus, Vanetia's early childhood years were often spent roaming with her father from one property to another, and learning the lay of the city from all their travels. As she grew older, Vanetia started sneaking, then venturing (with permission) off on her own. Her brother, Lucian, three years her senior, was at first a guide and protector. Eventually, as a small, seven-year old, Vanetia made her first foray into the city by herself. She began to befriend the boys of the South Corridors and the Docks, though their groups were often at odds. It didn't take long for Vanetia to pick up their skills in slipping among the shadows, scampering across narrow bridges or ropes and squeezing through impossible crevices in-between buildings or tiny tunnels. It was during this time that Vanetia noticed her ability to make out details that her friends could only glimpse at. It was this ability that allowed her to spot the City Guard advancing through the crowd and made her an invaluable part of the street crews. Knowing she was allowed around for only that reason didn't bother Vanetia, she loved the thrill of being a shadow or narrowly escaping a big guardsman. She later honed her perception spell to allow her to see a flicker of their aura, which was most useful in telling if someone was lying, at least when it worked. In her ninth year, a great illness befell the Docks area, and Vanetia was confined indoors by her parents for fear of catching it. It was in this time that she first picked up a bow and set an arrow to the string. While at first her attempts to hit a target were pathetic, earning her the laughs and jeers of Lucian, Vanetia didn't let it affect her. She persisted, strengthening her arms, practicing her aim, until she could easily hit the target. It didn't take long after that before she could outpace her brother in any informal contest between the two. Lucian's arms instructor, at first wary at the idea of a girl attempting archery, showered her with praise after this, and proclaimed Vanetia his best student of the bow. When she was allowed back outside months later, Vanetia went armed with a knife that their arms instructor had show her how to use. It was a practical thing, for the city was still leery of the City Guard after the quarantine of the Docks and the mysterious death of the King's Steward. A showdown in the street was likely to be avoided by passersby and left unannounced to the Guard, and a fight in the alley even more dangerous. Her friends were less endeared to her cause, as well, feeling bitter by her absence during the Quarantine. Still, they allowed her to join them on their escapades and jaunts around the city, and soon it felt to Vanetia as if she had never been gone at all. By the time Vanetia was ten, her parents began to exercise caution against her daily trips into the city. Her brother, Lucian, had been staying close to home for nearly two years, readying himself for the squire-ship their father had arranged for him. Vanetia resisted at first, feeling a certain kinship for the children she spent her days with, and none at all for the dusty tome of books and quiet parlors of needle-stitching girls her parents offered. With her older years and increasingly-feminine appearance, along with the city's more distressed attitude, it wasn't long before Vanetia was forced into an ugly situation out on the streets of Miriel. On her way back home one day, she turned down a deserted avenue, only to be confronted by a trio of young men who looked at her in a peculiar way. Before she could run, one of them grabbed her, and Vanetia drew her knife in response. A moment later, the knife had left her hand, and was digging across the underside of her arm to the chorus of three deep guffaws. In panic and a whirlwind of pain, Vanetia rammed into the man holding her, throwing him against a wall, and made her narrow escape. After that fateful day, Vanetia decided to acquiesce her parents' request, realizing the wisdom of their concerns. It was time for the tomboy to grow up. Her parents were delighted at the change, and hired a private tutor to assist Vanetia with her studies, in addition to catching her up on the proper practices of a young woman of her class. Vanetia learned her courtesies, how to be polite in proper company, the way to stand and sit, and what to say to whom. She also learned centuries-worth of history, a glimmer of finances from her father, and the painful art of needlepoint from her mother. Over the years, Vanetia transformed from a rough-and-tumble tomboy into a respectable lady of her station. As the years went by, so did things change. Her brother, Lucian, left to go north to squire for Ser Rodrik of the Northern Legion in Valgard. When she was thirteen, her father announced that he had arranged a marriage between Vanetia and the son of well-to-do family of ship owners. Vanetia accepted the match with the grace and courtesy she had been taught, but it wasn't until she met her future husband that she warmed to the idea. Jarad Felwyn was, in her eyes, a beautiful lad just two years older than her. And, though he passed harsh judgement on Vanetia's marksmanship skills, her poor needlepoint, the rough edges of her courtesies and even the freckles of her face, Vanetia fell deeply in love for her betrothed. In the autumn of her fourteenth year, her father, a successful but somewhat reckless businessman, got into a row with a Knight Captain of the Knights of the Crown. It seems that the Knight Captain offloaded a great deal of goods, picked over from a recent seizure of a disloyal nobleman's estate, into one of Steffan Belsante's shops. Among them, a priceless medallion bearing the crest of the old Andúnë Emperor's house. Being a keen businessman, Vanetia's father quickly found a buyer for the medallion, a soul from the City of Narim, and sent it on the earliest shipment. The Knight Captain accused her father of theft, but having sold the item willingly, he couldn't find an ear among the bringers of justice of the city. Warned by a friend that the Knight Captain intended to strike on his own, Steffan began to gather his family and belongings for a fast escape. Entrusting his properties to the safety of his friend, Steffan and his family, even a grumbling Jarad, ventured forth before daylight the next day to leave the city. Having bribed the proper officials, it seemed as though the Belsantes would make it through the city gates unopposed. At the gate, Vanetia and her mother were waved through, as were a pair of bodyguards for the road, but when her father approached the guard, chaos erupted. The Guardsmen threw off their cloaks to display the raiment of the Knights of the Crown and quickly seized her father. Without any choice, Vanetia was forced to leave behind her father and future husband, and the small party fled into the dawning lands beyond Miriel. Now Vanetia and her mother head north for safety, cut off from their friends and funds, they are alone and vulnerable. The Knights of the Crown have not pursued them, but agents of her father's enemies are less scrupulous in their prey. Perhaps the Belsante women will find haven in Ivonne's homelands, or further north with Lucian's knight master. Steffan's business associates range across the cities of Andúnë and the eastern lands, but it remains to be seen whether they will be trustworthy or loyal to his wife and daughter. Their fate is uncertain, but their goals are clear. Now let the tale unfold. Not to be confused with the official version above. Appearance - Arguably, the first thing one tends to notice about the fair-skinned boy is not his softened facial features. Nor is it the freckles that dot his face and body, or his lean and tall build. Rather, it is his wild, blond hair. Reaching almost to his shoulder, Jerek likes to keep his hair out of his hazel eyes, but little else is done to tame it. Its natural straightness doesn't keep it from looking like a mop, and its dishwater color only serves to add to the comparison. The boy's lanky frame further compounds the distinction, and is most effective in making most standard-sized clothing look baggy on his slender figure. His figure belies the boy's strength, slimming trained muscles that stretch along the adolescent's five and-a-half foot height. His physical progress, compounded by his training so far, seems to predict a well-built figure by the time Jerek enters adulthood. Personality - Being half of a twin pair tends to lend itself to something of a split personality, with each twin carrying a part. Jerek and Elias were just such a pair. Where Elias was confident and aggressive, Jerek was more cautious and passive. He had a calm approach that his brother envied, eschewed grudges and focused on analyzing problems rather than jumping headlong into the fray in the hopes of finding a solution. With the loss of his twin brother, Jerek suffered for years from having half a personality. His lack of self-confidence and over-cautiousness betrayed him and left him open to bullying and disappointment. Raw intelligence has done some to help Jerek overcome the problem, while a rivalry with a fellow student in the Ossus Academy helped to bolster his self-confidence. Still, Jerek's caution and tendency to over-analyze an issue can still stop him short of achievement. Education & Training - Besides normal schooling during his early years, Jerek has been a student of the Ossus Academy since he was eight. There he was trained with many of the Jedi's techniques. His natural intellect and curiosity did much to help Jerek achieve high marks in his theory and academic classes. Jerek showed himself to be almost as equally attuned to Force techniques as in physical moves, sliding quite easily into the role of a Jedi Sentinel. Although Jerek was trained in several styles, Soresu remains his preferred and most adept style. Jerek is moderately proficient in Soresu, while somewhat proficient in Form I, Shii-Cho, and partially trained in Form II, Makashi. Key Background Events - Jerek Zenduu was born as one half of a pair of twins. His identical twinned brother, Elias, was born roughly 45 minutes before him, a trait that Elias held high above his younger twin's head throughout their childhood. Though born in an era of uncertainty, the Galaxy soon stabilized. Peace took hold, leaving Jerek and Elias to a relatively quiet childhood, filled with typical childhood endeavors. Yet life on the Outer Rim is unequivocally unstable, regardless of the Galaxy's best intentions. It was on the Outer Rim that the Zenduu twins grew up, and this was the fact that would soon destroy their home, their family and irreparably damage their lives. When the boys were just eight years old, their hometown was razed by a party of raiders. By the time the dust had settled, Jerek's father lay dead and Elias was nowhere to be found. Though tested, as customary, by the Jedi when they were small, Jerek's parents refused to give up their boys. With the loss of her husband and one son, his mother made the heart wrenching choice to send Jerek to the Jedi to study and be safe from the perils of life on the frontier. Despite his screams of protest, Jerek was taken from the last vestigates of home that he had, and brought to the Jedi Academy on Ossus for training. Jerek struggled in his first few months at the Academy. The sudden transition from his home, the death of his father, being dragged from his mother and the loss of his twin brother weighed heavily on his heart. The Jedi's training was interesting, and while it appealed to Jerek's natural curiosity, the constant physical and mental exertion required by the Jedi Masters had a punishing effect on the already-battered child. To make matters worse, Vul Abaan, the Academy's top student in Jerek's initiate class, was a bully who had set his sights on Jerek by the first few weeks. Spotting Jerek's intellect, Vul admonished him whenever possible, keeping Jerek feeling small. After several months, the boy's pent-up frustration had finally hit boiling point, and Jerek lashed out at Vul. The argument devolved into a full-fledged brawl. Despite his small size and his depression, Jerek nearly came out on top, only falling to Vul's blow as the Jedi Masters discovered their fight. Though punished severely by the Academy's masters, Jerek's attitude reformed and he became a worthy student. Jerek and Vul continued to be rivals, though on a much less dramatic scale, throughout Jerek's Academy years. By the time Jerek was fourteen, the Masters of the Ossus Academy decided that Jerek was fit to move on to the next portion of his training. Now a Jedi Padawan, Jerek searches for a Jedi Master. He has been called Jack for as long as he can remember. He might respond to variations, such as Jackie or Johnny, but he knows himself as Jack. Standing at a little over four and a half feet and weighing in slightly over seventy pounds, Jack appears to be a normal ten-year-old Human boy. He has a fair complexion, a scattering of freckles on his face, and dirty blond hair, which he wears in gelled-up spikes on most days. His body betrays the appearance of an active child, Jack is limber and solidly build for his slender frame. Jack is not exactly what one might call 'command material'. Jack often behaves in a childish, immature manner, owing to the unique properties of his race. His mind is often more focused on his next pet project than an issue within his department or on his ship. Nevertheless, his mind is sharp, and he can respond to situations in uncannily short order. He does seem to understand the deep responsibilities that underlie his leadership positions, for he feels regretful when he fails to accomplish them. The few ship captains that have recognized his potential and understanding took the time to nurture Jack's growth. Perhaps another such captain can help Jack to grow as an Executive Officer. Jack has the learning capability of a child, he picks up new ideas and methods quickly and readily absorbs and adapts to different environments. He is resilient and thick-skinned, enough to brush off a hurtful remark or an insult, or to weather through an unsympathetic superior. Jack does understand responsibility, and that he has it. Jack is quick to think on his feet, and responds well under pressure. Jack struggles in adhering to the responsibilities and duties that he has. His first priority in the morning would be play, while for others it would be work. While Jack tries his best to maintain professionalism on the job, when off-duty he lets his childish tendencies run rampant, eschewing the responsibility of performing as a role model while off-duty. Jack is reluctant to assume leadership, he's more comfortable in choosing a follower position than one of a leader, despite his capability to be one. This lack of self-esteem is played off as humility, but Jack would definitely be excited if someone went out of their way to recognize his accomplishments. Jack's ambitions are mainly short-term goals. He hasn't planned out his entire Starfleet career, he doesn't aspire to be the next great politician, thinker, inventor or anything like that. Many of his ambitions include getting a certain computer program he may be developing to work properly, or finding a way to beat a particularly difficult opponent at Kadis-Kot. -Jack is a sucker for sweets, anything from chocolate cake to marshmallows will delight this Miran. -Jack is just at the age where he is beginning to find a fondness for girls, and though he would never consider even holding hands with one, he might enjoy the company of female coworkers a bit too much. Jack is fluent in English, and the major dialects of Vulcan, Cardassian, Romulan and Klingon, as well as several computer languages. However, he has neglected using many of his non-English, non-computer language skills for so long that many have fallen into the forgotten realms of memory. All those centuries ago, Jack was a normal ten-year-old boy living in a suburban community. He might have been rich or poor, or perhaps he was the popular or cool kid at school. None of that matters now. What matters was that in the middle of the 1960s, scientists on his world accidentally unleashed a product, a virus, that was designed to prolong the lifespan of the humanoid creatures. Fortunately, any crisis that would have surmounted following such a disaster was short-lived, as any sexually mature creature was corrupted with a terrible affliction, causing unavoidable death. The scientists who created the virus, the world leaders, schoolteachers, doctors, police, members of the military and even Jack's parents and older sister, all succumbed to the terrible and violent affects of the disease. Ironically, the virus did its job to perfection in the bodies of those children who had not yet begun the onset of puberty. It slowed their physical development to a rate of one month per century, virtually increasing their lifespan an infinite number of times. Barring injury or illness, Jack and the rest of the Mirans could live another 80,000 years or more, depending on the kindness of medicine. During those centuries, Jack and the other Mirans struggled for survival. With a crumbling infrastructure and no sustainable food supply, the children were forced to scavenge for food or haphazardly attempt to grow it themselves. As they lived and played foolies, their name for games, their small numbers eventually dwindled even more. Death became a common phenomenon, there were at least a few every decade. The school-aged children soon became haughty survivors, desperately clinging to life. It was in that state they were found by the Federation relief workers, who came following the discovery of their world by Captain Kirk and the USS Enterprise, NCC-1701. The Federation teams quickly set up shop, establishing a group home, a teaching institution and a medical facility to treat the traumatized children for centuries of PTSD. Jack soon found himself living among the Federation establishments, attending school once more and shirking his counseling visits as much as possible. Some of the Miran children found homes with researchers and doctors from the Federation who came to their world to assist. Jack, eager to fill the hole in his heart left by his parents' death, consented to adoption by an older couple, Franklin and Marissa Gault. The Gault's doted on their new son, for their family was small and Jack was now an only child with few 'aunts' or 'cousins' to speak of. Eventually, the enjoyment of his family waned, while his parents remained steadfast in their love, their relatives grew bored of hosting a young child annually as they continued to grow older with each passing year. His adoptive parents stayed fond of him, and for a while, Jack convinced himself that was enough. While under the care of the Gaults, Jack discovered his interest in computer systems. He began to spend hours in front of his desk consoles, puttering away at different code combinations and programming mechanisms. Sometimes it was days between periods that he spent outside. The Gaults initially worried about Jack's newfound obsession, but as he exhibited a greater proficiency and, more importantly, pride regarding his work, they began to encourage him instead. Eventually, the Gaults encouraged Jack to enroll at MIT to study his passion academically. Yet Jack's organization skills and wandering attention span cost him in several terms of failed classes, and he dropped out, discouraged. For a time, he put away his computer programs and took up other hobbies. Jack's timeless youth had been an advantage to him since the day he had come to live with the Gaults. There were times when it became hard for others to understand why he didn't always go to school --though he did attend a few times to be with neighborhood children he grew fond of-- or that he stayed as the same picture of youth as when the Gaults had first adopted him. Some responded warmly to his eternal childhood, and indeed Jack retained friendships with kids he had played with who had since grown into adults, even after they began to create their own families. Some were less receptive and grew cold to the Gaults, even to the point of moving from the neighborhood the Gaults lived in. Yet Jack's youth came with a perilous downside. The Gaults were not a young couple when they adopted Jack, and their rate of aging did not slow, no matter how much Jack willed it. Over time, family friends and relatives were asked to come in to help care for Jack, younger individuals capable of keeping up with the centuries old ten-year-old. And though Jack wished as much as he could, he could not will youth back into his parents. For the Gaults had become like real parents to him, more than his biological ones had ever been to him. In 2325, Marissa Gault passed away while she slept. Jack took it badly, shuttering himself into his room and refusing to eat or let anyone in for a day. His caretakers were finally able to coax him out, to take part in life again, but for a few years Jack remained a hollow child. Try as he might, Franklin Gault could not always devote the amount of adoration that his child needed. He found it difficult to express his love to Jack, and their relationship grew apart. In 2331, Franklin finally passed away, leaving Jack an orphan once more. This time, Jack went into a total relapse of his first days after his homeworld had withered and died. His parents were dead, and he refused to recognize any of his caretakers or other family members. The visits of old friends, those who he had played with when they were children, brought him to the surface for a brief time, until he realized that they, too, were old men and women and not their youthful selves. Jack withdrew, giving his caretakers great concern. They brought him to see several doctors and psychologists, even a few Starfleet Counselors, until one recommended sending him back to Miri's Planet for treatment. His caretakers agreed, and Jack was returned to Miri's Planet, to the Miran Institute to get treatment. There, the Federation's Miran specialists addressed Jack's case as an acute resurgence of the Post-LPV Traumatic Stress, and ordered a contingency of medications and therapy for the boy. The counselors on Miri's Planet were troubled by Jack's state. His situation called adoptions to a halt, believing that more Mirans might end up like he did. Their best Betazoid minds tackled his case, only to find themselves rebuffed. Even the Vulcan counselor could not break Jack's anxiety. After repeated attempts at therapy and medications, the puzzled administrators of Miri's Planet called out for help from across the Federation. Their call was answered by a most unusual individual, a Tellarite. Out of all the therapy approaches that the counselors had attempted, none were as radical as this Tellarite Counselor's. Yet somehow, when he talked, Jack listened. The Tellarite, Skrav, turned his culture's penchant for insults into a means of therapy, to which the closest analogy to conventional Federation therapeutic techniques would be playing the Devil's Advocate. For whatever reason, where others failed, Skrav got through. Within a few months, Jack was responding again and even playing with other Mirans for short periods. At Skrav's advice, Jack returned to his hobby of programming computers and making complex systems. His room was soon littered with memory chips containing dozens of programs. After a while, his skills transformed beyond the level of a hobby, and Jack found himself making improvements to the Institute's systems, often without the approval of the administration. Yet when Jack's tweaks and improvements led to the facilities saving a significant percentage of their energy outputs, Jack's case was once again reviewed. It was suggested that Jack take up a career, perhaps Starfleet, where his skills could be put to good use. When Jack rejected the suggestion, his case workers found new projects for him to work on, even transporting him off Miri's Planet a few times to assist with improving systems on other worlds. Every once in a while, someone would make an off-hand remark about joining Starfleet or someplace where his skills would be highly valued. Though he rejected the idea every time, the seed was planted in Jack's mind. After that, sometimes he would daydream about being in Starfleet, and some of his games with other Mirans revolved around this. His case workers took note, but did nothing to further pressure the boy. In 2348, the Federation was shocked by the massacre at Setlik III. There had been crises during Jack's time in the Federation, certainly, but never had a foreign body so violently struck out against the Federation. War drums pounded across the quadrant, and Starfleet ships were readied for the conflict they had unwillingly been dragged into. The news was sparse on Miri's Planet, for the administrators were unsure how the children would react to the war. Those small snippets that escaped lead Jack to do his own research. He was shocked by the violence of their Cardassian attackers, and found himself displaying a patriotism he had never before known. The seed of suggestion planted by his case workers grew and flowered, and Jack decided he wanted to join Starfleet. With a few rounds of discussion and a flurry of signed papers, Jack's legal status was transferred to Starfleet pending his completion of the Academy, which he would enter that fall. Jack has an altered metabolism caused by base-level RNA modifications from the man-made Life Prolongation Virus or LPV. While the active form of the virus was neutralized by an antidote created by Doctor Leonard McCoy, his blood is still contaminated and should be treated like that of an HIV/AIDs patient in the late 20th/early 21st centuries to prevent accidental exposure, especially by other children. "Other than the chronic ailment of the LPV and its affects of longevity, Jack is a very healthy young man. Apart from a few poorly healed broken bones, likely obtained during the centuries of isolation on this planet, which are scheduled to be reset and healed properly with 23rd century medicine, I can find nothing critically wrong with Jack's health. Barring any kind of reversal of the LPV's affects that would allow Jack to live a normal life, I predict that he will outlive us all." Federation Outpost on Miri's Planet. In the Academy, Jack's organizational skills once again became his greatest weakness, but his mind was tempered by years of projects of his own. It was difficult, at first, for him to adapt to the many small pieces of classwork, most of which had no bearing in the grand scheme of things, but Jack was spurred on by his newfound patriotism. Finding Engineering too meticulous for his liking, Jack chose a path in Communications. His technical skills in computers greatly aided him, for learning spoken language was not too diverse from computer languages, if only less structured. In the spring of 2352, Jack graduated from the Academy. In the stands at the ceremony were his caseworkers, Skrav, and the children of several of his neighborhood friends. Jack's entrance into the full realm of Starfleet launched a whirlwind of events. He was assigned to the USS Excalibur, an Ambassador-class ship only recently out of her first refit. Upgraded and reinforced, the cruiser was often employed against Cardassian warships. Jack got his first taste of battle only weeks after his arrival on the Excalibur. From then on, during his time on the Excalibur, his life was a see-saw between wartime battles and resting periods. The Excalibur was battered, scarred, rattled and shaken, but she remained in one piece for his time on the ship. The young Communications officer didn't have much to do when it came time for ship-to-ship encounters, but his skills were put to work intercepting and deciphering Cardassian communiques on the field. His efforts caught the attention of the ships' Chief of Communications, Lieutenant Matthews, who promoted Jack to his assistant after only two years. Though their relationship started out well, Jack and Matthews never found a good working dynamic. Their relationship devolved into a facade, and then a struggle. Prior to becoming an open wound, in 2356, the Excalibur's Executive Officer offered Jack a transfer. Believing his best interests were being looked out for, Jack accepted and was transferred to the USS Richmond. The Richmond was a newer starship, already implementing Starfleet's restructured department scheme. This unfortunately meant that the duties of Communications had been folded into Operations and Engineering. His orders becoming somehow mangled along the way, Jack wound up being assigned as the Richmond's Transporter Manager in the Engineering department, bringing with it a promotion to Lieutenant Junior Grade. Despite not knowing much about Transporters, Jack learned quickly. He found the experience radically diverse from the meticulous and monotonous work that the Academy had made Engineering out to be. And, to his surprise, Jack found he liked working with his hands. The war with the Cardassians continued, though the Richmond was far from its front, being a smaller ship designed to support cruisers like the Excalibur in large engagements, not take on warships by itself. By this point, Jack didn't seem to mind, he had found war not particularly to his liking. The childhood games and foolies he had played were unrealistic in comparison to the perils and terrors of war. After a single away mission against Cardassian forces, Jack begged, pleaded and tricked his way out of further ground engagements with their forces. The Richmond's duties were usually behind the lines, still carrying the Federation banner and principles to worlds that requested aid. After a couple years as the Transporter Manager, Jack was able to request a reassignment as the Computer Systems Manager. 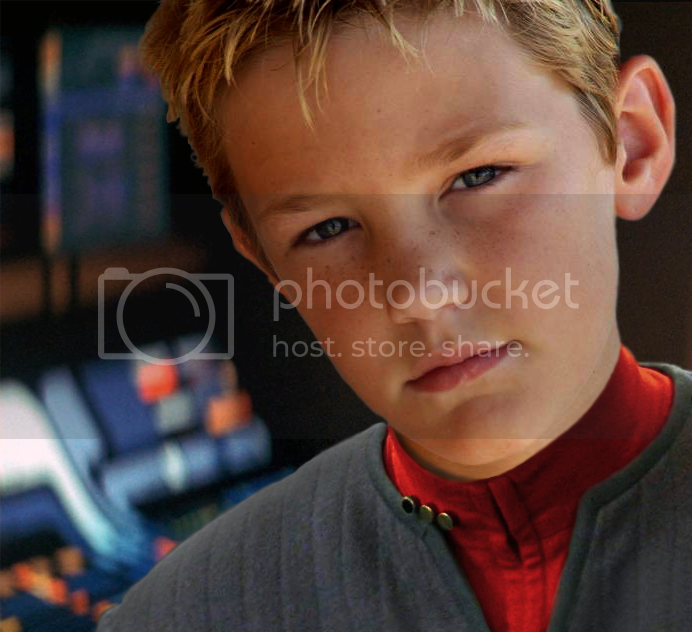 Building on his earlier love of computers, a passion that had brought him into Starfleet in the first place, Jack approached his role with renewed excitement. His managerial style began to take shape then, Jack began to focus more of his time on pet projects than on leading his team. Nevertheless, when the role of Assistant Chief Engineer opened, the Richmond's Chief Engineer suggested Jack for the position. Jack readily accepted, eager for a new challenge. Jack was full of ideas, some more extreme than others, but far less concerned with the drama and politics that seemed to converge on the engine room. He was well liked by the Chief Engineer, and given enough room to manage a team of his own within Engineering, but his mannerisms were despised and his position was hotly coveted. During this time, Jack began taking shifts as a relief pilot. He'd excelled in his flight lessons at the Academy, but since that time he'd found little opportunity to put the skills to good use. While the Richmond was present at the battle for a Federation outpost in late 2362, many officers were pressed into bridge duties. Jack volunteered as a pilot during this conflict, and afterwards continued serving occasionally. He quickly learned that piloting a starship is vastly different than the smaller shuttles, but Jack's quick learning abilities dissolved this obstacle in a few weeks. During a Cardassian engagement in 2365, the Richmond was heavily damaged and the crew was forced to abandon ship. With Starfleet's focus shifting away from the Cardassian front, which had largely stagnated in the past half-decade, the crew was left fragmented, broken up as no dedicated ship was available to reassign all of them to. Jack was assigned to the USS Gettysburg as their Assistant Chief Flight Controller. It was a position Jack served in with some disdain. Though flight itself was exhilarating, the job of Assistant Chief Flight Controller didn't entirely capture his attention nor challenge his skills. Regardless, the Gettysburg was a ship with a well-seasoned crew, and there was little lateral movement, to Engineering or anywhere. So Jack persevered and stuck out the role, serving with distinction for four years. To his surprise, when the Chief Flight Controller retired in 2369, Jack was offered the position. His role as a leader during this period became well-liked, in contrast to his tenure as Assistant Chief Engineer on the Richmond, the pilots in his department preferred his laid back style. Often, Jack served on the Beta or Gamma shifts as opposed to the Alpha shift, and would ferry out away team assignments to others while he focused instead on his own pet projects. By 2373, Jack had been promoted again, to Lieutenant, and was faced with another transfer. With tensions mounting in the Bajoran sector and once again on the Cardassian border, this time with the help of the Gamma Quadrant natives, the Dominion, Starfleet was eager to refit older frames to newer designs, incorporate weapons with a bigger punch, and improve defenses. The Gettysburg was one such ship, and rather than reassigning the crew to desk jobs and near-Earth opportunities while the ship underwent its refit, they pressed them back out into the fleet. Jack opted for a transfer to the USS Charlemagne as its Assistant Chief Engineer, eager once more to get his hands dirty. He quickly formed a fast friendship with the Chief Engineer, Lieutenant Commander Tevis ch'Nalen. The war went badly for the Federation. The Gettysburg was on the front lines more than once, and in one of those encounters, Jack lost his friend, the Chief Engineer. Saddened, he stepped up to the role of Chief Engineer for the duration of the conflict. With the war over, and personnel returning from the front lines, Starfleet recommended that another officer be assigned as the Gettysburg Chief Engineer. Still unsavvy in the world of politics, Jack agreed, and was returned to his former position of Assistant Chief Engineer. The new Chief Engineer, Commander Holstein, was a tyrant. He preferred to run his department with an iron fist, and Jack along with it. The boy found himself working long hours for little gratification, and no time at all to work on any projects of his own. A year later, he transferred to the Jupiter Station as a Research Engineer. If work under Commander Holstein had been like living under a tyranny, working at Jupiter Station was the exact opposite. Though Jack had deadlines, he was free to work on whatever passed his fancy, whether or not it related to the current project of the facility. Jack's creativity went rampant, and he enjoyed creating all sorts of computer programs, gadgets and designs for devices that would likely never be greenlit or even built. That didn't seem to matter to him. Jack enjoyed plenty of free time on Jupiter Station, and its proximity to Earth allowed him plenty of vacations on warm beaches or in little parks where children play. It was almost the perfect balance of fun and work for Jack, and for a time it suited him well. Like many things with Jack, he began to grow bored of Jupiter Station and its unstructured work. He missed the adventures, exploration and, yes, even the danger on starships. Pining for a new chapter, Jack put in for a transfer as a Chief Engineer again, unconcerned with the exact ship Starfleet would post him to. In 2381, his request was finally able to be put in motion, and Jack was assigned to the USS Seleya, under the command of Captain T'Prev. The Seleya, a Norway-class ship, was one of few vessels crewed almost entirely by Vulcan crewmembers. At first, the contrast between Vulcan and Miran was great and difficult for many to get accustomed to. Indeed, some of Jack's subordinates immediately put in for a transfer when they learned how Jack conducted his department. Over time, T'Prev grew to like Jack's unpredictable style and spontaneity. It may have clashed directly with her logical style of command, but T'Prev herself once conceded that logic alone could not always anticipate every solution to every problem. It was for this reason that, in 2383, Jack was promoted to Lieutenant Commander and given the duties of the ship's Second Officer. For several years, Jack served T'Prev happily. She was forgiving of his childish nature and his difficulty with attention, though that didn't exempt him from a stern warning once or twice about "realigning his priorities to better anneal his duties as a Starfleet Officer, Chief Engineer and Second Officer." By that time, Jack knew enough not to laugh, endeavoring himself to improve his focus instead. He even asked T'Prev to teach him how to meditate, something counselors on Miri's Planet had once tried as a therapeutic technique. In time, the relationship between Jack and T'Prev grew quite close. Though only her Second Officer, sometimes she would seek his advice before the advice of her Exec, to the Vulcan officer's comical frustration. T'Prev began to encourage Jack to seek out further opportunities to grow. This advice culminated in the suggestion to apply for the Executive Officer spot of a newly minted starship. Jack debated for weeks on the decision, even calling up Skrav, though long retired, once more to ask the old Tellarite's advice. With positive feedback from all sides, Jack decided to throw caution to the wind and in 2386, he was rewarded with the position of Executive Officer on the USS Arizona, a Prometheus-class starship.